One of the reasons that property owners pick a metal roof over other roofing systems is its relatively long lifespan. But, that does not mean it won’t have maintenance requirements. And, through time, a metal roof can be just as vulnerable to the elements as other types of roofing systems. Without a scheduled maintenance program your metal roof will develop leaks. Metal can rust pretty fast once the roof coating has deteriorated. Often you don’t see this deterioration until it is too late, your roof is leaking and now you have a bigger, and probably more expensive problem. 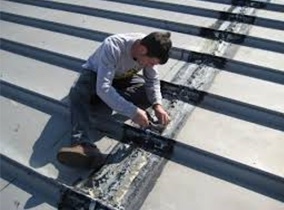 Places to inspect for leakage include – seams, vents, flashings, ridge caps, fasteners, skylights and any other type of penetrations that may be going through the surface of your roof. Another issue that metal roofs are prone to is lift-up at the overlapping edges. A metal roof is screwed or nailed to the trusses, so rust at these points could create a weak spot for water and wind to lift them up.. So what do you do when you have a metal roof that is showing signs of leaking and/or rust? You will be glad to know that you don’t need need to totally replace or re-install your metal roof. You can usually fairly easily and affordably fix your metal roof through a qualified, professional commercial metal roof repair contractor. But, you must be careful to choose the right company to do the repairs and minimize any future damages and expenses. The roofing system on your commercial building is one of your biggest and most important components of your commercial building. Regularly scheduled maintenance by a professional commercial roofing contractor will extend the life of your roofing system and save you more money in the long run on other expensive repairs. A preventative maintenance plan with your chosen contractor can provide this care and increase the lifespan of your roofing system. Proper water drainage is very important for maintaining your roof and keeping it free from leakage. Inspecting and keeping gutters, downspouts, and drains clean and clear from debris on a regular basis will ensure they allow for adequate water flow away from the roof. Broken and/or leaking condensation drain pipes from HVAC equipment can be a constant source of moisture on the roof. Roof flashings and penetrations of the roofing system for HVAC ducting, plumbing vents, and various other items should be checked on a regular schedule. Products used to place seals around flashings and penetrations can deteriorate. Regularly scheduled inspections by a professional commercial roofing company will find these problems so they can be repaired before bigger leaks can happen. Areas around hatches and other roof access points are also high volume traffic areas. These areas should be checked on a regular basis. Sections around roof mounted equipment such as power vents, HVAC units and communication equipment also need to be watched closely. Required or scheduled maintenance on this equipment could cause unintended damage to your roofing system. Having a routine maintenance program in place, especially when your roofing system is near the end of its lifespan, can help you identify solutions, such as specialized coatings, that will extend its useful life. Without a commercial roofing professional doing regularly scheduled inspections, the roof can deteriorate beyond the point where these options might be able to be used. Regularly scheduled inspections also will allow you to monitor the overall condition of the roofing system and give you an estimate of its remaining life. This will be valuable information for planning and budgeting in your yearly operations moving forward. 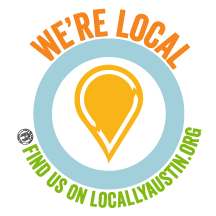 Here at Armadillo Roofing & Exteriors (512) 333-7663, we provide commercial metal roof repair, commercial metal roof installation and commercial metal roof restoration services to Austin, Texas and the surrounding area cities. If you need advice from a trustworthy contractor for anything related to you metal roof, give us a call.